The diplomatic situation within the Kingdom of Gardarshoft, once a shining example to all, has continued to deteriorate. Brothers have turned on brothers and sisters on sisters. 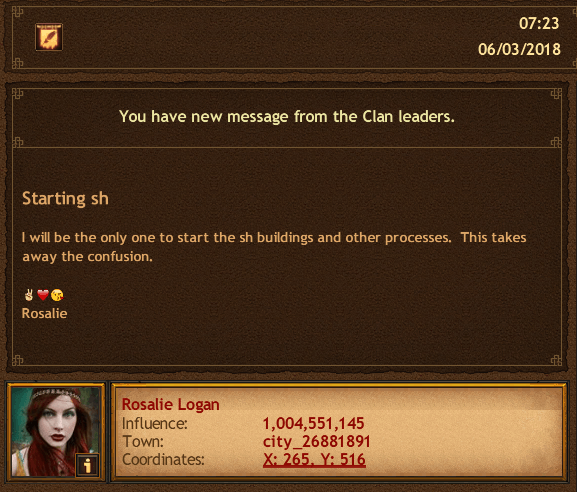 This has created an isolation effect, in which members of clans are rapidly turning to one another, forgoing most interactions with others within the Kingdom, or worse. Battles have erupted across the lands and clans who have not decided to band together, joining their forces and creating their hive networks, have found themselves completely and utterly wiped off the face of the realm. 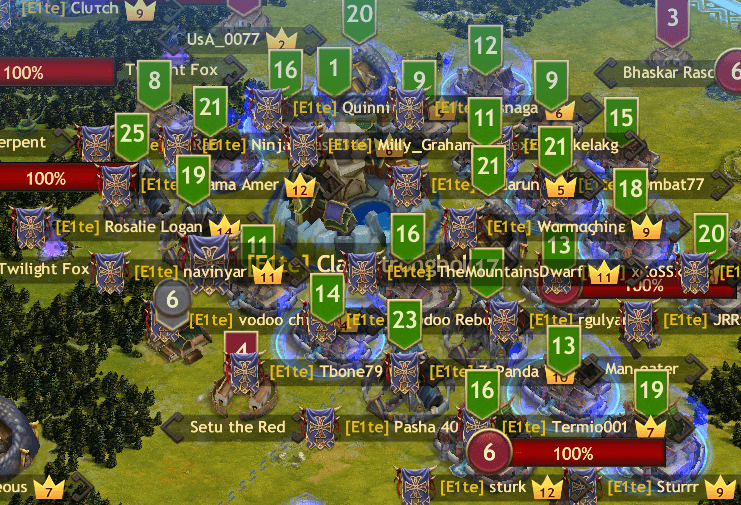 The Elite Chivalry have pooled their collective strength, being one of the strongest clans within the Kingdom and no stranger to conflict; this has greatly multiplied their collective might, allowing them to pool and share their resources. "Safe houses" within the hive have been selected. These are locations that have their protective shields up 24/7 and allows their clansman to rest easy when they are taking their downtime, knowing that their forces are protected from surprise attacks. Still, more needs to be done, and clans are racing to complete their Strongholds, the central location of their hive and main garrisons. 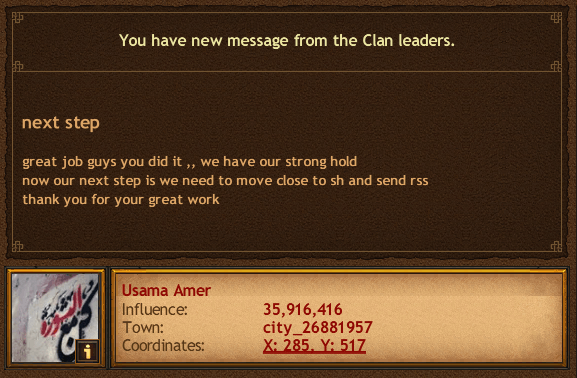 Resources of all types are being requested by clan leaders, as the monumental effort of building their stronghold gets underway. The sheer amount of resources needed is staggering. However, the task is made that much easier when a clan comes together, each sharing their equal weight in the task at hand. 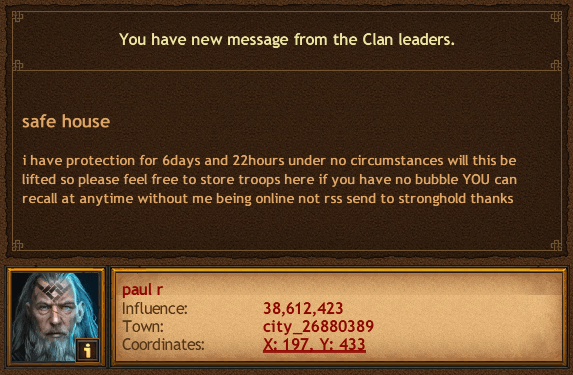 In rapid order, the Elite Chivalry clan was able to complete this task in record-breaking time, once again proving their worth as a clan. 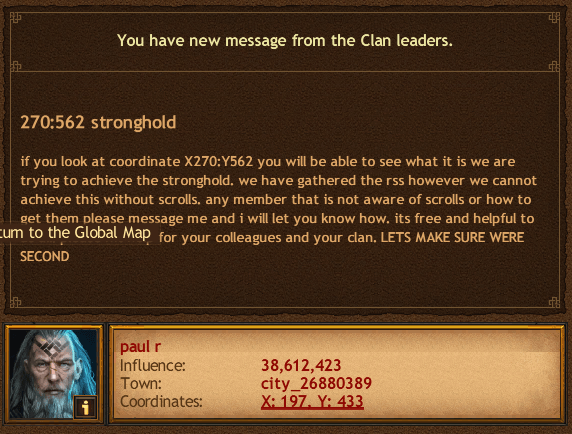 With this task complete, the work is far from over and clans all over the Kingdom race to complete their strongholds as well. The great arms race of Gardarshoft is on, with each clan hoping to outdo the other. The Elite Chivalry may be one of the first clans to complete their Strongholds and come together in their Hive, but they are far from the only clan making headway. 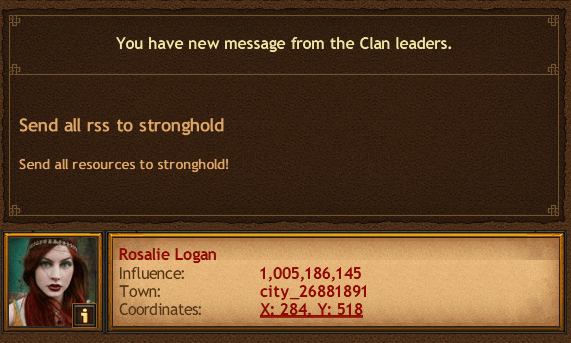 All clans are currently doing all that they can to strengthen their armies, their fortresses, and their towns, as they know that a storm is coming. They know that things are going to get a whole lot worse before they get any better. The lands of Gardarshoft are in turmoil, and we pray that sanity will once again resume before it is too late and all is lost.